Carlos Ghosn, the former chairman and CEO of French carmaker Renault, on Friday announced he was willing to "reimburse" a €50,000 gift from the chateau of Versailles, reportedly linked to his lavish wedding at the royal estate. Jean-Yves Leborgne, Ghosn's lawyer in France, has told the news wire, "Carlos Ghosn paid for all of his wedding expenses". The lawyer said the problem can be settled if Renault sends an invoice and that Ghosn is ready to pay the costs. Ghosn threw an extravagant Marie Antoinette-themed wedding party at Versailles to celebrate his second marriage which featured actors in 18th-century clothing. Ghosn's arrest in November in Japan and subsequent indictment on three charges has led to renewed scrutiny of his lifestyle and allegations from his Japanese partners that he was greedy. "No decision has yet been taken regarding an eventual inquiry", a spokesperson told AFP. 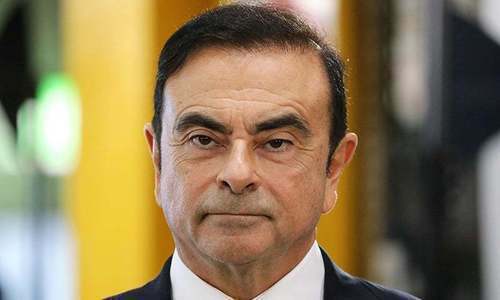 The finding was part of an internal probe and marked the first time Renault has disclosed possible improprieties by Ghosn, who remains in a Tokyo jail after allegations of financial crimes were brought against him by Japanese prosecutors. It has also exposed rifts between Nissan and French carmaker Renault which, together with Mitsubishi Motors, make up the world's top-selling auto manufacturing group. "I was born on June 6, and I deny any role in the glorious D-Day landing on the beaches of Normandy" in 1944, he added.